Mindfulness-Based Stress Reduction (MBSR) is an eight-week foundational course in mindful awareness. This course weaves together awareness of body, mind, and heart, incorporating instruction, meditation, gentle movement, and group sharing and support. Receive encouragement and empowerment in cultivating their own mindfulness practice, incorporated into their daily life. This course includes 8 weekly class sessions at the Studio, and a daylong retreat at Ryan Ranch on June 9, 9:00 am - 4:00 pm. The MBSR curriculum was developed by Jon Kabat-Zinn, and is now offered in hospitals and other venues all over the United States, as well as in many other countries. 30-plus years of research on this course have shown many encouraging results pointing to marked improvements in participants’ physical and mental health. 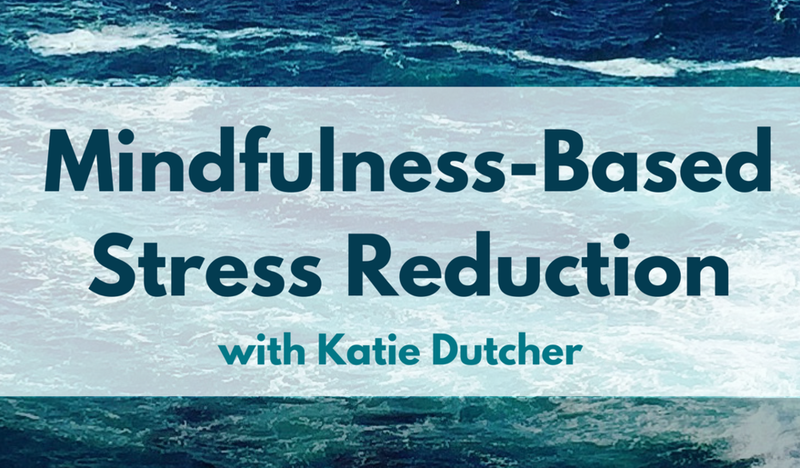 Katie Dutcher is a Qualified Teacher of Mindfulness-Based Stress Reduction.